Another month of surprise vegan snacks from Vegan Cuts! If you want to sign up, you can get your own vegan snack box delivered to your door every month by visiting the Vegan Cuts website. Here is what I found in my March 2016 Vegan Cuts Snack Box. These veggie chips contain 1 and 1/4 serving of vegetables in every bag. It’s hard to believe, but jackfruit can actually taste and feel like meat. The fruit naturally has a pull-apart, meaty texture that makes it perfect for mimicking carnitas. Interesting flavor! These chips are non-GMO, Kosher certified and preservative-free. These snacks are gluten-free and made with white beans, quinoa, lentils and chia seeds. Gluten-free, non-GMO and 110 calories. Healthy, vegan & energizing. These bars are especially useful when you’re hiking or traveling. This bar is supposedly stronger than espresso. As a coffee lover, I’m looking forward to trying it. Honestly, I didn’t like this bar. For some reason it tasted and smelled a bit artificial, even though it’s a natural product. It would be better if they had made it a dark chocolate raspberry truffle flavor instead of trying to mimic the taste of white chocolate. Yum! I liked this brownie. Dairy-free, cholesterol-free, and GMO-free. These mixed fruit squeeze tubes are very popular these days; I received one in my snack box last month. 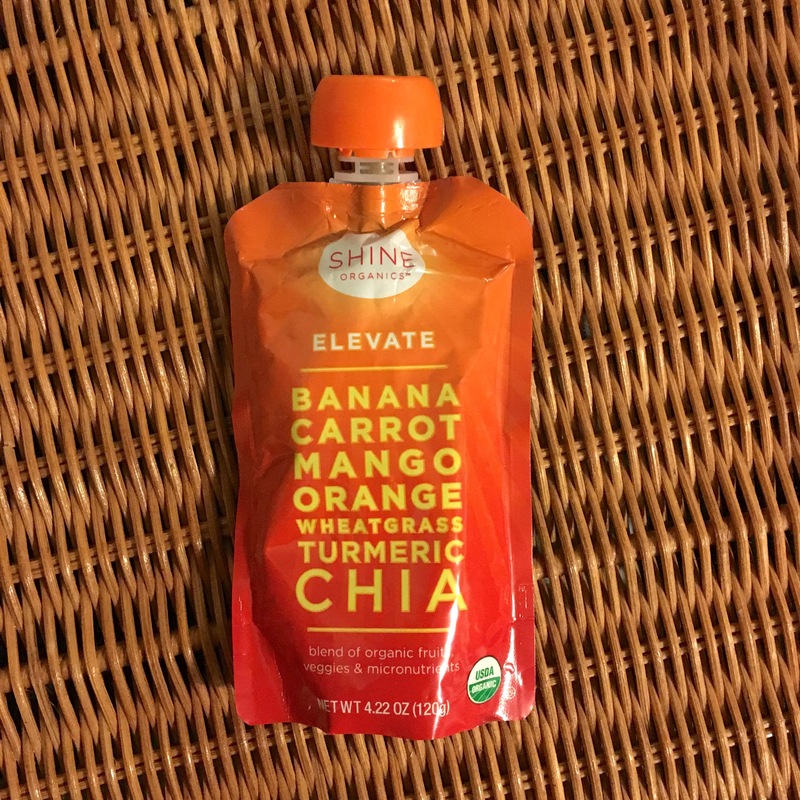 This flavor from Shine Organics contains the anti-inflammatory spice turmeric. Check out my other unboxing posts!